Mt. Bachelor, OR at sunrise. Bachelor is the 8th largest ski resort in North America. In North America, we live by one rule: Bigger is Better. Since that’s the law of the land, it’s worth having a look who has the biggest ski resorts in North America. These are the places you want to go to to get lost, explore, & never see the same thing twice. These are some of the biggest ski resorts in the world, despite what Europe may be trying to sell you. According to cartographic expert Chris Schrahe, Whistler, Park City, & Big Sky would all be in the world’s top 10 largest ski resorts. Whistler Mountain opened in 1966 and Blackcomb Mountain opened in 1980. 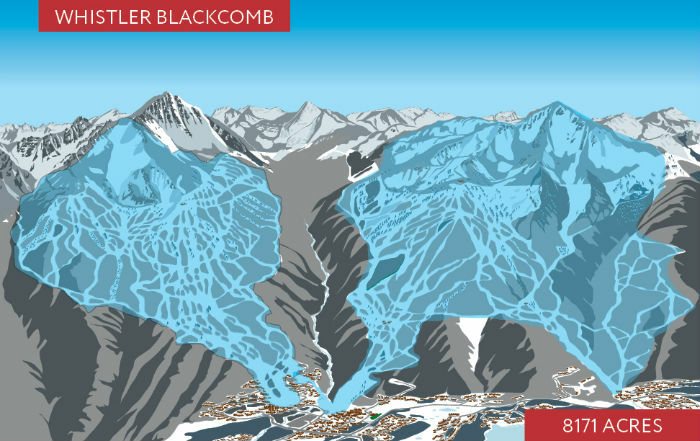 In 1997, Whistler merged with Blackcomb becoming the enormous Whistler Blackcomb we know today. Vail Resorts has run The Canyons ski resort since 2013. In 2014, Vail began running Park City as well. In 2015, they build a gondola connecting the two resorts making the largest ski resort in the USA. Big Sky Resort opened in late 1973. 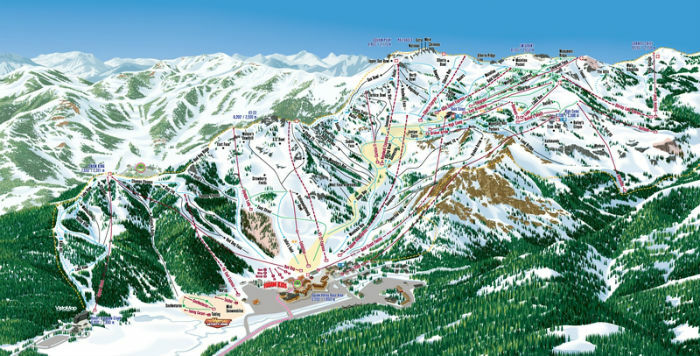 In 2013, Big Sky Resort became the largest ski resort in the United States by land area with 5,800 acres when they acquired neighboring Moonlight Basin ski area and Spanish Peak ski area. 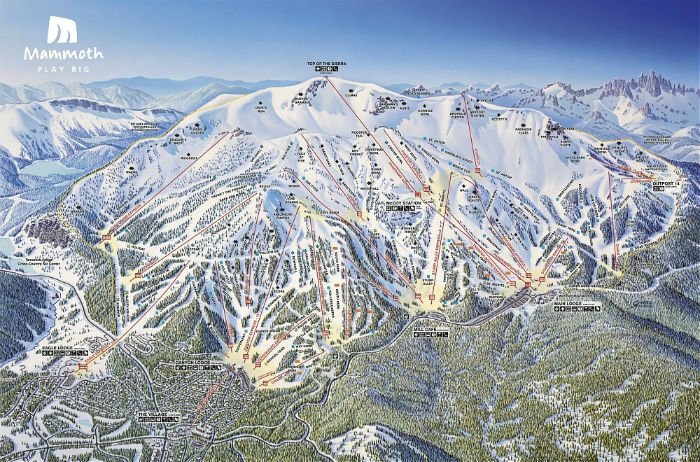 Today, Big Sky is the 2nd largest ski resort in the USA. 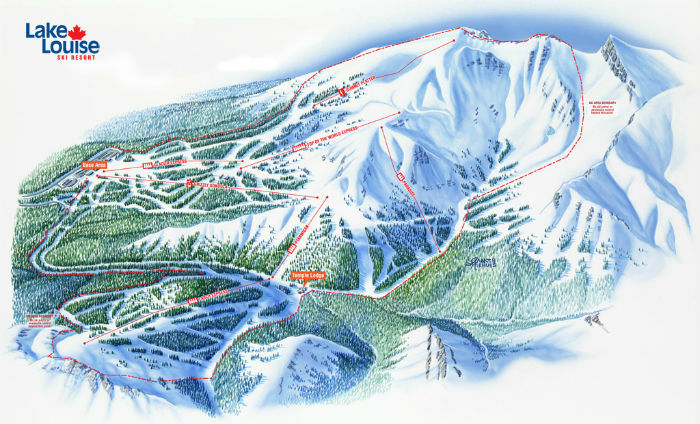 Vail opened in 1962 and was founded by a World War II 10th Mountain Division veteran. 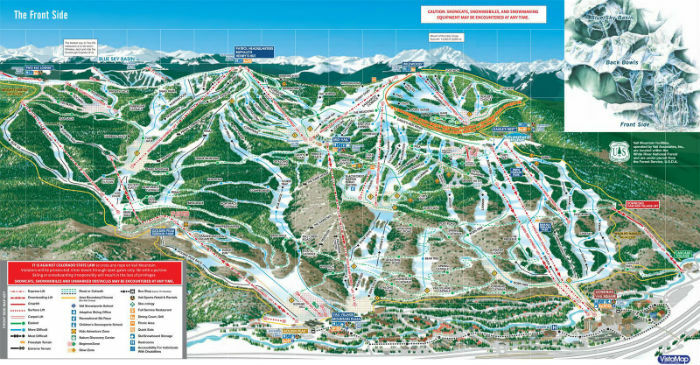 Vail has expanded many times to reach its current size as the 3rd largest ski resort in the USA. Vail Resorts also runs 2 other ski resorts on this list: Park City & Heavenly. 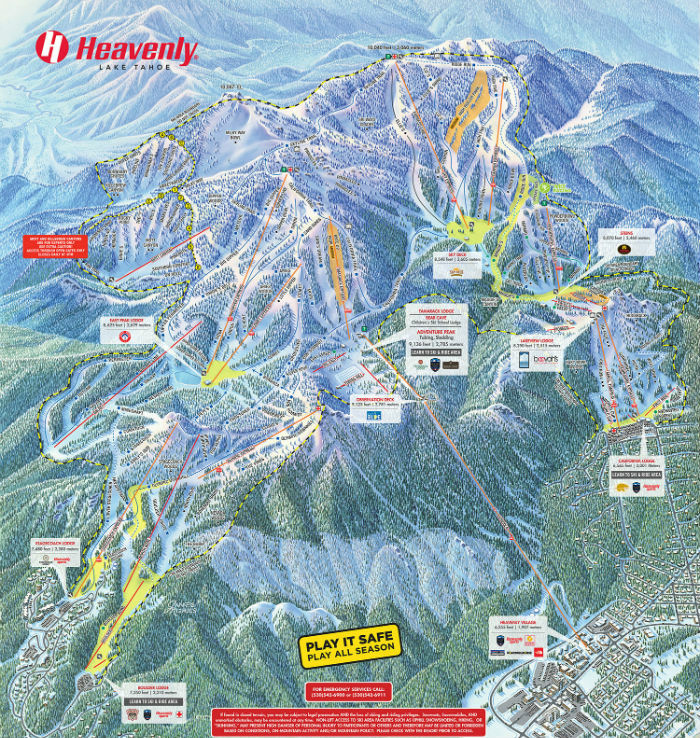 Heavenly is the largest ski resort on the West Coast and it spans two states, Nevada & California. Heavenly opened in 1955. Until 1993, Sun Peaks was named Tod Mountain. Tod Mountain was founded in 1961. 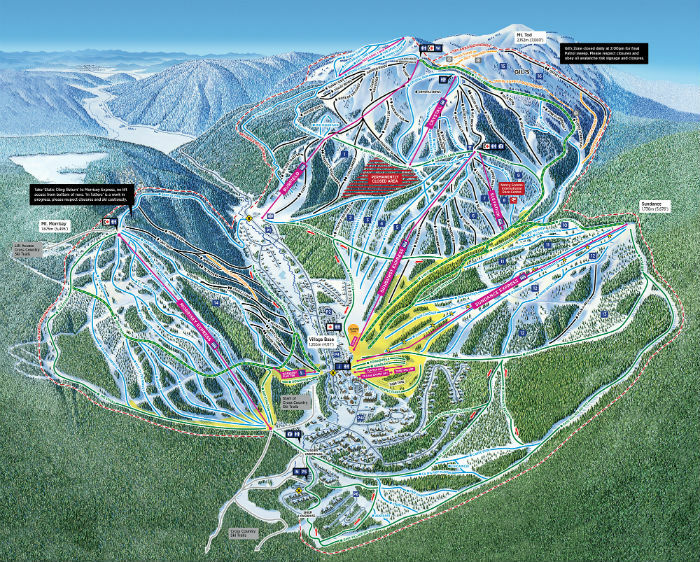 Sun Peaks has undergone many expansions to become Canada’s 2nd largest ski resort. Established in 1954 in the “birthplace of Canadian skiing.” Originally, the resort was two ski resorts: Whitehorn & Temple. They amalgamated as Lake Louise Ski Area in 1971. Mount Bachelor was found by World War II 10th Mountain Division Elite Force ski trooper Bill Healy in 1958. Bill’s very first rope tow took you 1,000-vertical-feet up the mountain. 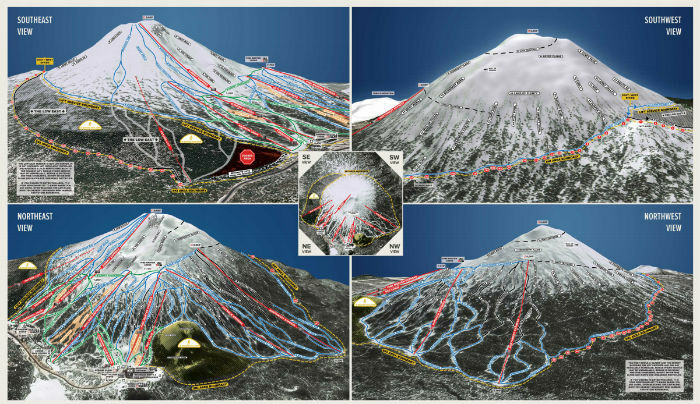 Bachelor installed the Northwest Chair in 1997 making Bachelor into the 3rd largest single mountain ski resort in the USA and creating the option to ski 360º off the summit of the stratovolcano called Mt. Bachelor. **Bachelor will be adding 635-acres to their ski resort in 2016/17 bumping them to #6 largest ski resort in North America. Squaw Valley was founded in 1949. Squaw held the 8th Winter Olympic Games in 1960. Squaw was the American birthplace of extreme skiing via Scot Schmidt in the 1980s. Squaw purchased neighboring Alpine Meadows in 2012. Squaw is currently attempting to join the two resorts via gondola which would make Squaw Alpine the 3rd largest ski resort in the USA at 6,200 acres. Mammoth was founded in 1953 by the legendary Dave McCoy. Mammoth is the highest ski resort on the West Coast of North America. Mammoth has become famous for its incredible terrain parks and for being open more than 6 months per year. Termas de Chillian in Chile is 24,000 acres…. Termas de Chillan (now know as Nevados de Chillan) actually is a small ski area. Their amount of LIFT SERVICED skiable terrain is more likely in the 1200-1500 acre range. 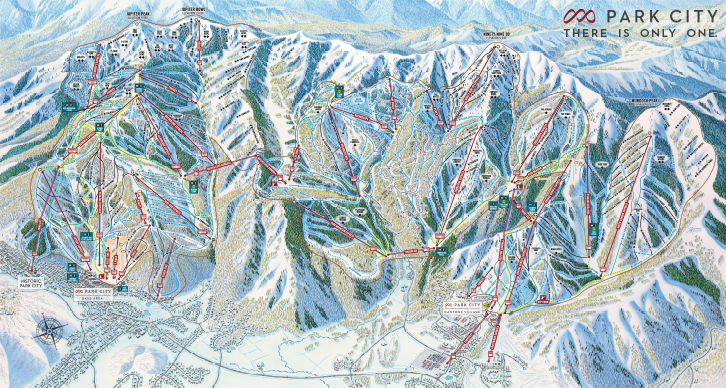 This was determined using a satellite area calculation with Google Maps, in comparison with the resort’s trail map and ability to see lifts on the map. This does not account for the large permanently closed section within the ski area, so likely a couple hundred acres less yet – A far cry from the 24,000 that some sites such as Wikipedia list. Powder Mountain (Utah) has over 7000 acres, though not all lift-served; where did they fit in? What about PowMow??? I think they are somewhere around 7000 skiable acres?? I’ve been skiing Lake Louise since 1968 and it was never “two” ski resorts. The resort grew out of the backcountry lodges of Skoki and Temple, under the ownership of Sir Norman Watson and the corporate banner “Ski Club of the Canadian Rockies” (reference: http://posthotel.com/the-lodge/history/). The resort was sold to Charlie Locke in 1970 and aside from a brief period has remained within his family since that time. Some of the 1992 Olympic alpine skiing events were held at Trois Vallees, some events, including the men’s downhill, were held at Val d’Isere.